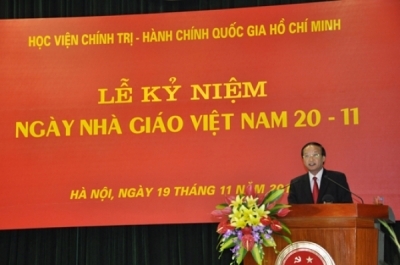 (LLCT) - Over 20 years of implementing the Resolution of the 5th Plenum of the Party Central Committee (8th tenure, 1998), Vietnamese culture has achieved a lot of new values and developments that are imbued with national, humane, democratic, scientific and popular spirits. 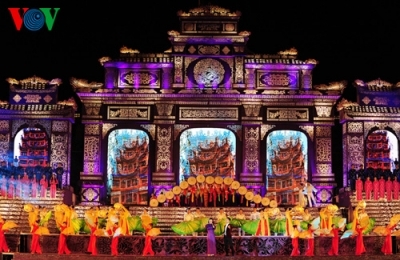 However, the achievements in the field of culture have not been matched with the available potential and have not had strong influence on building up the people's healthy cultural environment. Therefore, it is necessary to further renovate the leadership of the Party and improve the efficiency and effectiveness of State management over culture, focusing on building culture inside the Party and the State apparatus. Each executive committee, authority, union, staff and Party member needs to seriously consider their responsibilities in leadership, direction and management, as well as draw on their experiences to implement the Resolutions well in the coming period. (LLCT) - Together with the “group” interest and obsession with achievements, “office term-bound thinking” has become a “disease” causing much harm to the Party and dissatisfaction among the people. To successfully implement the Resolutions on building the Party and personnel work, it is necessary to fully identify the connotations of the concept of “office term-bound thinking” and its manifestations so as to provide solutions for its prevention. (LLCT) - The concept of university autonomy globally reflects the transformation of the state-to-university relationship in the spirit of upholding the academic freedom of the university and less direct interference of public administratives into university governance on organization, finance, and personnel. In Vietnam, the concept that university autonomy means self-responsibility is experimentally implemented by more than 20 pilot universities in six areas: organization and personnel, finance - property, training, science - technology, international cooperation, and quality assurance education. In spite of many difficulties, the initial positive results have proved the correct policy of university autonomy. (LLCT) - : Strengthening collection and fighting against the loss of state budget (SB) revenue is a crucial task of the Customs sector, contributing to the implementation of Resolution No. 01/NQ-CP dated 1 January 2018, Resolution No. 23/NQ-CP dated 8 April 2018 of the Government on solutions to manage the implementation of the socio-economic development plan. Facing the strong influence, impact of Free trade agreements, in 2018, the Customs sector has made efforts in developing solutions to strengthen the revenue of SB in 2018, reaching targets and completing political tasks. (LLCT) - It has been 170 years since the Manifesto of the Communist Party was born. The value of its theoretical points has remained unchanged up to now. The country on the path to socialism can apply it creatively in accordance with its specific conditions. For Vietnam, the chosen transitional path to socialism is oriented and lightened by the Manifesto and Marxism - Leninism. 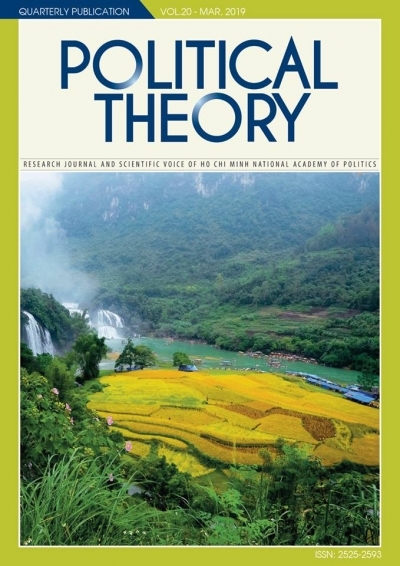 The vitality of the Manifesto is the constant inspiration which requires us to supplement and develop the theory of socialism and the transitional path to socialism in Vietnam in the new context. (LLCT) - In the context of market economy development and administrative reform, the State not only organizes and manages the society through legal institutions but also through satisfying the essential needs of people - providing public services for the society. In order to well perform this function, it is necessary to renovate and clearly define the roles and functions of the state apparatus in general and its roles and responsibilities in public service delivery in particular in order to improve the quality and the effectiveness of this activity, better satisfying the increasing demands of the people and society, achieving the goal of sustainable socio-economic development and building the State stronger and better. (LLCT) - Recently, the China - U.S. relations are a vivid and typical model of great power relations in the current period. It is where both countries cooperate and compete in all areas without causing a war or a great conflict and are ready to compromise to protect their national “core interests”. After a year in power, U.S. President Trump’s policy towards China is beginning to take shape. Understanding correctly the relations between these two great powers is vital to small countries, including Vietnam, to minimize risks and maximize benefits for their own in the regional and international arena. 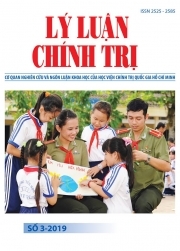 (LLCT) - On the 12th of April 2016, the United Nations Development Program in Vietnam (UNDP), the Centre for Official Fostering and Scientific Research (under the Fatherland Front of Vietnam), and the Centre for Community Support and Development Studies, launched Vietnam Provincial Governance and Public Administration Performance Index (PAPI) 2015 in Hanoi. 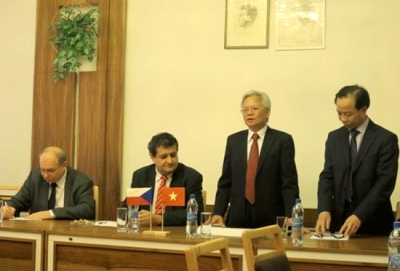 In attendance of the ceremony were Prof. Dr. Ta Ngoc Tan, President of the Ho Chi Minh National Academy of Politics, H.E. Ms. Beatrice Maser Mallor, Ambassador of Switzerland to Vietnam, and Ms. Pratibha Mehta, Resident Coordinator of the United Nations in Vietnam. A nation's power includes not only its hard power (geographical - population, economic, military factors) but also its soft power (political institution, ideology and national strategies (state leaders), and the will of the people in implementing strategies, social values, international relations). Therefore, the study of a country’s soft power should be taken under overall consideration of its comprehensive power.